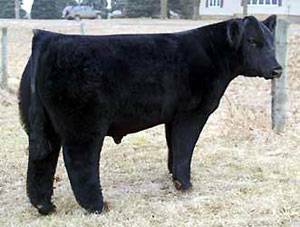 Rocky Balboa is calving ease alternative to Ali that offers a hair coat that is similar to that of a Scotch Highlander. He calved unassisted out of a first calf heifer and had a birthweight of 60 lbs. Make Rocky a part of your 2007 breeding plans.